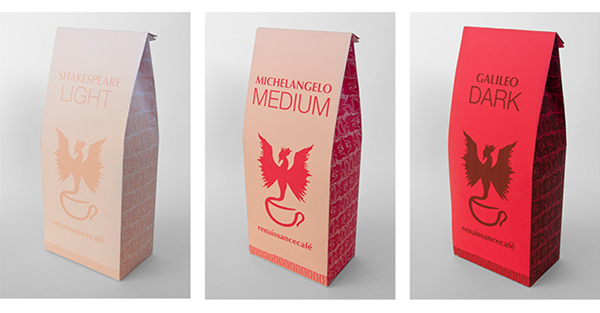 A branding/packaging assignment for a cafe inspired by the Renaissance. My concept focuses on how the Renaissance was an era of rebirth. 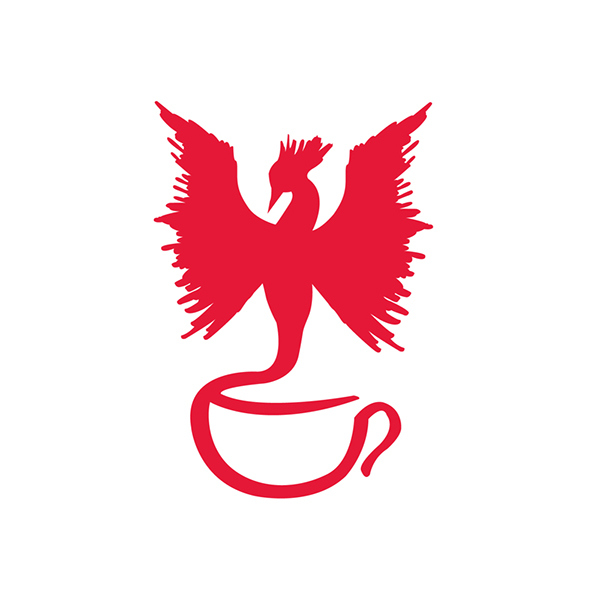 The logo strives to promote this idea of coffee reborn - coffee like you have never tasted before using a universal symbol of rebirth - the phoenix. 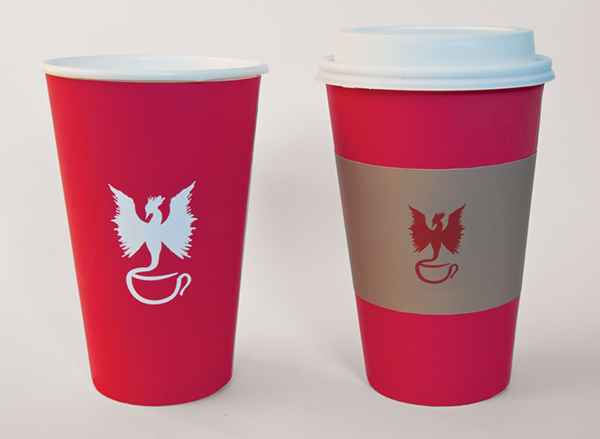 The logo is applied to coffee cups, cup holders, pound coffee bags (flavors inspired by 3 prominent Renaissance men: Shakespeare, Michelangelo, Galileo), and a coffee-to-go box. 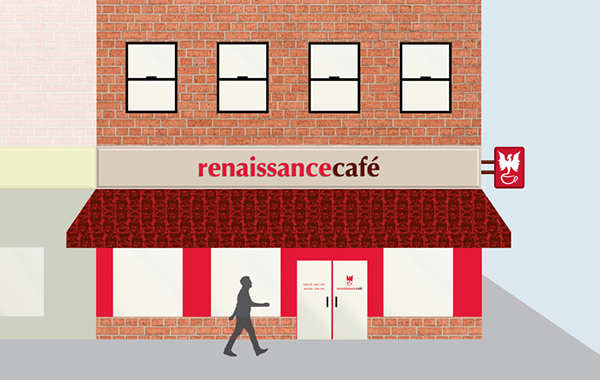 Additionally, I also designed the storefront for the cafe.